Yealink SIP-T53 IP Phone not only furnishes you with the Bluetooth connectivity, including Bluetooth headsets and mobile contacts synchronization, when working with Yealink Bluetooth USB Dongle BT40, but also the Wi-Fi connectivity when working with Yealink Wi-Fi USB Dongle WF40/WF50. Notably, you can access the 5G Wi-Fi connectivity handily if you use WF50. Also if you want to expand your horizons for busy environments, or, share one phone system with your small team by adding multiple handsets, just simply turn your IP phone to the corded-cordless phone via DECT technology. 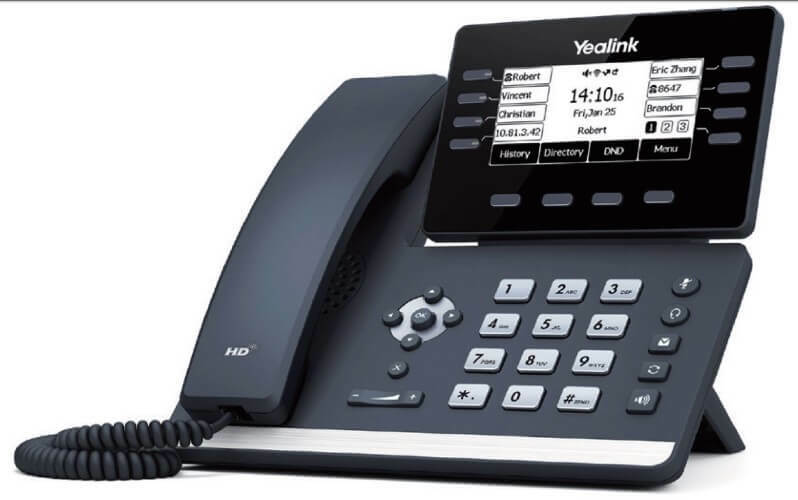 Moreover, the IP phone can function with Yealink VC Desktop together to share content from your laptop, making collaboration much easier than before(1).